Probably a reflection of the club, but this past year has been one of three steps forward and two backward! Our monthly meetings are becoming ever more popular, mainly thanks to Mick for the quality of guests he is producing. Each and every one has been excellent in their own unique way. One, Gary Hetherington, caused the club to think long and hard about our match day. His comments at one of our meetings got members talking, which continued in our Examiner article, resulting in the club asking people their preferred day for watching the Giants. Due to its previous success, I'll use this phrase yet again: the 'Reindeer Race Night' continues to be a sleighride of a success. This year's will take place at Turnbridge WMC on Friday 12th December. James and Liz continued to work tirelessly in organising pre-match discos and craft events for youngsters, ably supported by Tony's mobile amplification system! Speaking of Tony, he came up with the idea of a Challenge Cup Final BBQ. Whilst, to those attending, this was an enormous success, Tony and I had a few fraught moments whilst setting up the equipment! We are becoming more involved with the club, helping to organise events such as the Cricket Family Day, Fans Forum, etc. 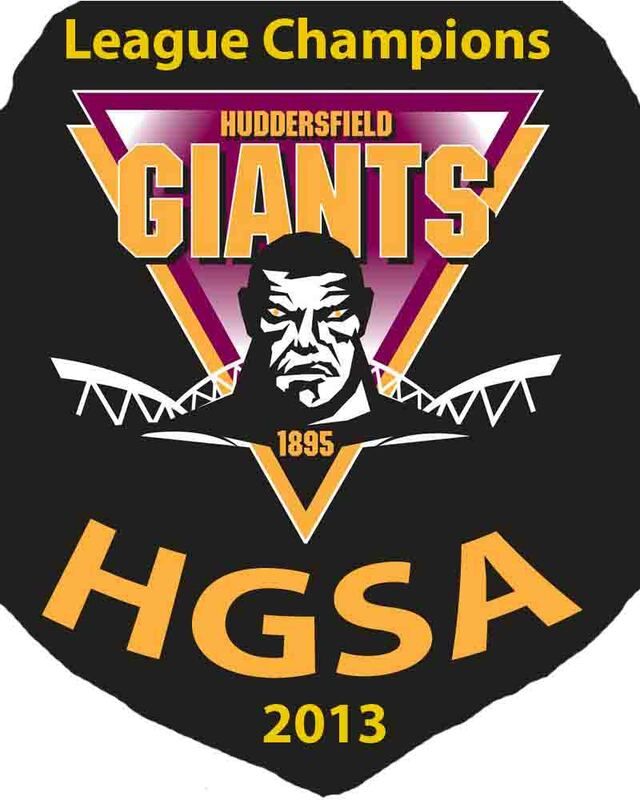 We have consolidated out membership base and continue to be a valued and trusted member of the Giants Family. This means that the Board Of Directors [Ken Davey, Richard Thewlis, and Paul Morgan] continue to be keen to meet with us and listen to what you, the fans, are saying. Sometimes they act on our advice, other times they say why it is impracticable. Our flag is now in a prominent position at all home matches. Whilst the club would like more flags to be displayed, the stadium management will not allow any other positioning other than across seats. We continue to hand surplus money to the Talentbuilder fund at the Giants â€“ Â£2000 this season, though only Â£1000 appears in the accounts due another Â£1000 being presented after our accounting year end. You committee has again worked tirelessly in the cause of building HGSA. Thank to all for the effort, commitment, and enthusiasm you have again shown over the past 12 months. In particular I would like to pay homage to Margaret who has been a rock for the Association since its inception. She has made the ill-advised decision that she can do without the committee â€“ it's still not too late Margaret! More of the same, with the slow addition of new events. We continue to have lots of ideas, particularly for younger fans, but we lack the manpower to organise them. And we shall continue to support the Giants in whatever way we can.